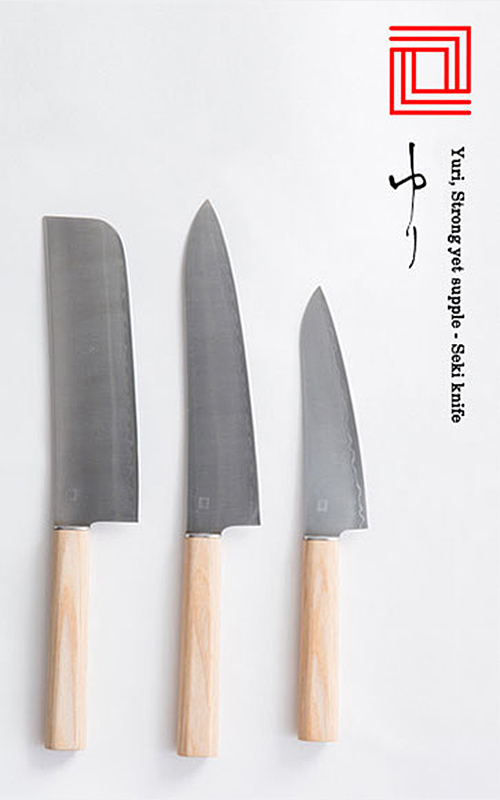 These kitchen knives feature classic *SANTOKU, NAKIRI and DEBA knives which have been used in Japanese kitchen for centuries. Blacksmiths of SEKI city show their skills in sharpening blades. They sandwich the highly hardness molybdenum-vanadium promising long lasting sharp edge with the low-carbon stainless steel resisting against rust. 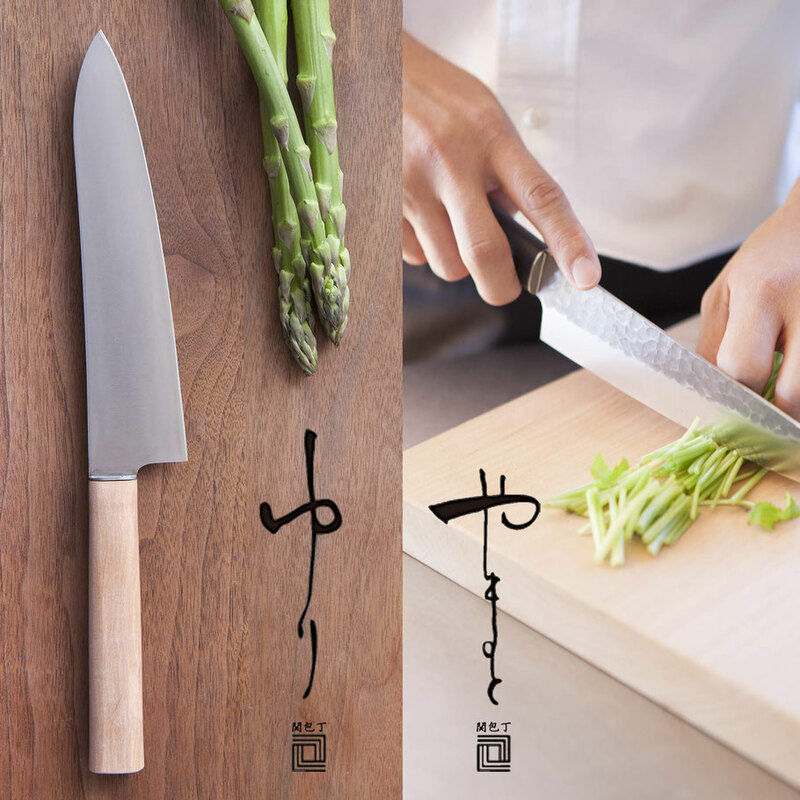 Both series have SANTOKU knives which cook variety of ingredients into variety of cuisine. 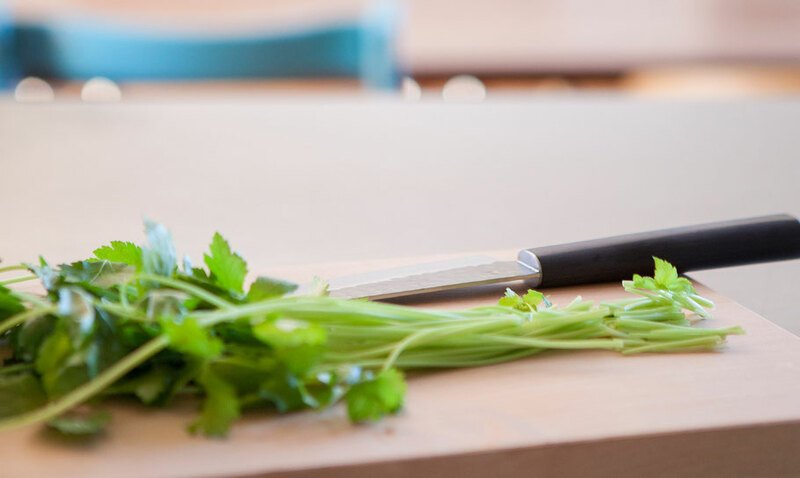 These must have knives make your daily cooking fun. In YURI series, there is NAKIRI which dices vegetable beautifully. 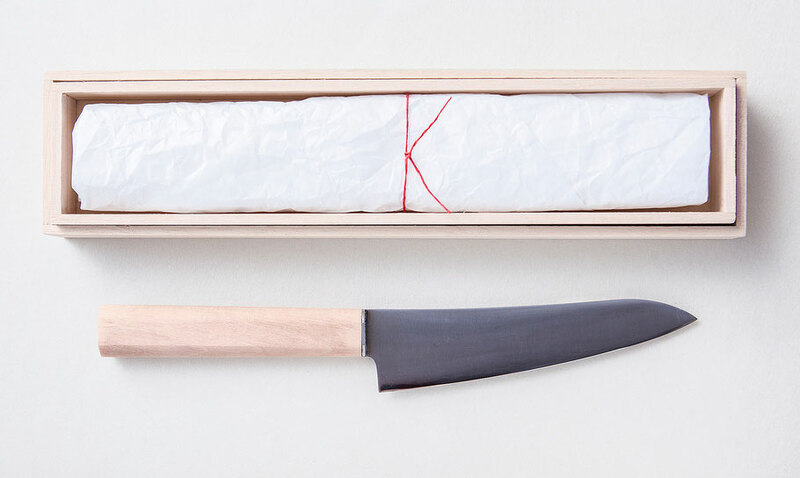 Despite NAKIRI does so, this vegetable specialized NAKIRI type of knife has been losing its popularity due to its tiring weight. Year 2016 is time to come back for NAKIRI. This new NAKIRI has very thin blade and perfectly balanced handle that achieve enjoynable use. Yamato series have DEBA and YANAGIBA blade which have double-edged blades that make cutting easy for both left and right handed user. 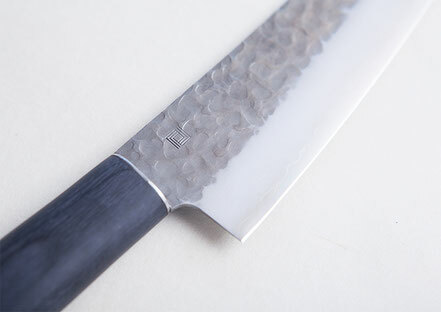 Another feature of YAMATO series is hammered marks that prevent food sticking to the blade. 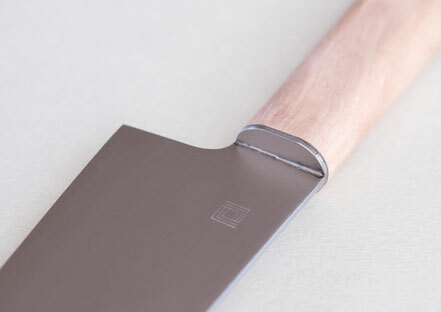 The Deba and Yanagiba of Yamato have double-edged blades that make cutting easy either left handed and right handed. 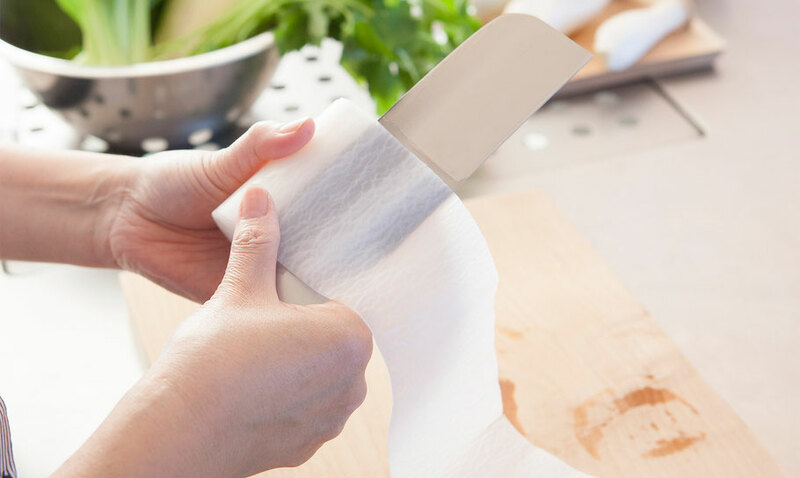 Yuri knife blade finished thinner whenever possible, it provide able to cut food more less force compare to usual kitchen knife. 〇 The handle is made of laminated reinforced wood that is easy to grip and tough against water. 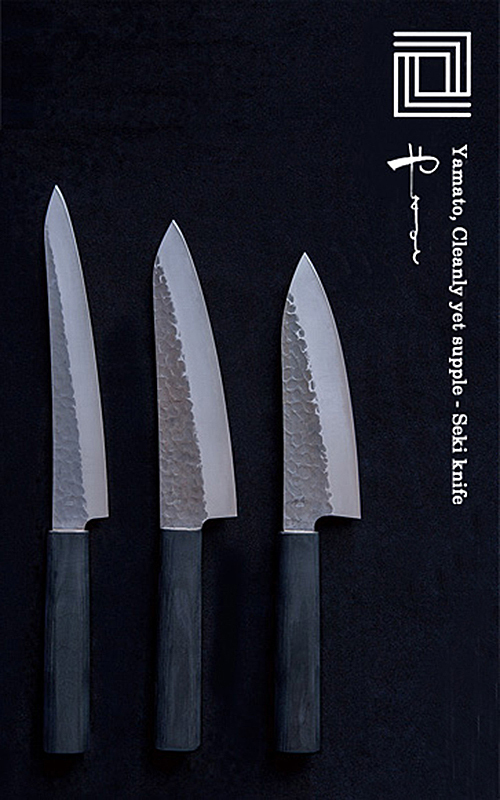 〇 Grain and color can make each knife look slightly different from actual products shown in catalogue. 〇 Do not keep wet for long time.